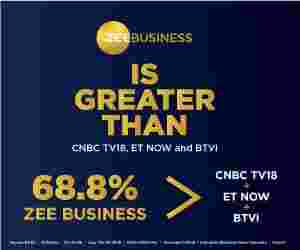 Basant Maheshwari, Co-founder & Partner, Basant Maheshwari Wealth Advisers LLP, speaks about his expectations from 2019, how American market will impact Indian market, effects of general elections, interest rates among others during an exclusive interview with Anil Singhvi of Zee Business. Q: What are your expectations from the domestic market in 2019? Will the American market, which is ready to enter the bear market, will have an impact on the Indian market? A: It seems that President Trump has taken a mandate to boost Dow Jones, but he is unaware of the ways to deal with it. For instance, a week ago, his tweets forced the Dow Jones to fall but it strengthened since he stopped tweeting. Secondly, any pain to Dow Jones, which is considered as a mother to all markets, will have its impact on other markets too. I feel that Dow Jones has crawled down a lot. There is a saying on Wall Street that ‘Economists have predicted 9 out of last 3 Recessions in America’ this means that economists have talked about it, the recession, even before it was felt in the market. But, America uses its currency printing machine and innovation to increase its production. The process has helped them to control or tackle recession and growth together through productivity. This is a reason that they innovate something new in a gap of a year or two. When it comes to Dow Jones than I feel that Trump has understood that heightening the grip is not going to help him out. Besides, he has always said that Dow is 25% since I am in power and he will not like to face the Presidential elections scheduled to be held in 2020 with low Dow Jones. That’s why he will try his best to balance it. Q: It means that we will have to track Trump’s tweets along with our daily routine of having a look on closings and openings of Dow and SGX respectively to understand the temper of the domestic market? A: (Smiles) Call Mr trump on your show to inquire about his intentions. Apart from this, the two markets, Dow and SGX, is tracked only when the market is down, and one should be ready to invest a month’s sleep if they want to retire at the age of 40-50. Q: Do you feel that there will be no change in market conditions for the next 4-6 months at least when there is a weakness in the American market and Crude and appreciation of rupee valuation? A: Crude prices are the blood pressure of the market and thus it should lie in the range of 55-65$/barrel and any up and down from there can hurt the market. If it goes down than it is said that there is a global slowdown, while the dollar is hurting our currency if it goes beyond 65$/barrel. But, in 2018, our market, which is majorly dependant on the foreign institutional investors (FIIs), has shown that we can perform in absence of FIIs. I just want to say that domestic investors can support the market even if crude prices crawl below 50$/barrel. But, such levels will invite global slowdown and we can’t do anything on that front. Besides, our market has ignored the US market since the results of the assembly elections were announced as it has restricted its fall to a level. This hints about the underline strength that our market has gained in the period and it doesn’t want to submit to the recession. I feel the market will move upward but it will depend on Dow and other markets. Q: What kind of impact the general elections will have on the market? A: It seems that the market is pricing with a hope that Mr. Modi will continue to be in power, but with a low mandate. This is a reason that the market hasn’t hesitated to perform despite 0-3 performance in the assembly elections. The market has strengthened itself. Usually, politics set the mood of the market but today the conditions have changed where the market will decide the political mood of the nation. If Mr. Modi comes to power with a lesser number of seats than the market, which will be at its peak, can see a rise or fall of 5-7 per cent, whose impact can be seen on the retail investors. Strengthening of the market prior to the election suggests that the government will return in power, but the final impact will be visible after the results are announced and will depend on where we have reached. Q: It means, local factors can’t pull down the market till elections are held? A: I feel, neither global nor local factors can pull the market below the mark of 10,000. Interestingly, we have survived above 10,000, when there was a systematic or fundamental problem - fall of Rs90,000 crore company, IL&FS - was there in the market. Secondly, lightning never strikes twice, this means problems do not return in a gap of a month or two as it awakes everyone. Besides, there is a difference between the two situations as a bureaucrat has been asked to head the Reserve Bank of India (RBI), who understand things and can look beyond the books to provide a solution. Apart from this, I can’t find a reason that can pull the market below the mark of 10,000. I can’t also see any bullishness or bearishness in the market. Possibilities are there that market may go up in Nifty, but the same thing can’t be seen in the broader market. Q: You want to say that Nifty can go up, but mid-cap and small-caps will remain where they are? A: Yes, I can’t see as mid-cap and small-cap pays off once in four years. I feel bullishness in the segment can be seen after the election results are out and a leader of their choice is elected to head the nation. Q: Can crude and rupee can be a reason for bullishness in the market? A: Yes. Tremendous growth can be seen, if crude prices are down that it can convert your current accounts deficit (CAD) into current accounts breakeven or surplus and strengthens rupee simultaneously. But, there is a different play at Nifty as 40 per cent of earnings on Nifty comes globally from stocks like Infosys, TCS, Tata Motors (these are not my recommendation) and exporters. And, any positive change in rupee will have an impact on Nifty. For instance, earnings of the Nifty Auto, an index on Nifty, increases when the dollar strengthens itself against rupee and vice versa happens when it, dollar, weakens. And, this is a reason that Nifty will balance itself. Depreciation of dollar against rupee will increase foreign investment in the country. But, foreigners are smart enough as they haven’t invested their money in the Indian market for past one year when the rupee was devaluating against the dollar and reached to 72 from 67 and boosted the US market. I feel that ETF money will return in the top headline stocks, like Reliance, HDFC bank (these are not my recommendation) in the new year as foreigners will be investing in those stocks, while local investment, where the masses are stuck, will be made after the elections are over. Q: What is your outlook on the interest rates? Do you think that interest rates will be slashed in the recent future and this cut can give life to Indian markets? A: Crude oil is our basic problem. As, we have discussed any decrease in its prices will have an impact on almost everything like improves dollar, CAD, inflation and decreases fuel (petrol & diesel) prices among others. The second angle is related to inflation that has reached the American rates of nearly 2-3 per cent and interestingly, we are not aware of how we have reached the mark. Food inflation is very low, and this is not good for the government, as low food inflation may not help our farmers to earn handsomely. I feel, food inflation should be increased by 2-4 per cent so that farmers can earn well from the produce, which means they will come out and vote for the government. Secondly, the RBI, which has been in a mood to reduce the interest rate, should have had reduced it by October itself but they are waiting, at present. Inflation is a statistical measure, where you can see a huge difference in data ‘s while comparing it with the low or high base data of the previous year. That is, it will be high when compared with a low base and low when compared to a high base, which means you will get a second reason to not reduce the interest rates. But the good news is that bond yield has gone down to 7.2 per cent from 8 per cent in the market despite the government hadn’t taken any step to reduce it. Apart from this, I feel, RBI’s new governor, Shaktikanta Das, will decrease the interest rates soon and has increased the existing liquidity in the market and has decided to release Rs50,000 crore/month in the market. Stock markets majorly run on low-interest rate and liquidity and that is a reason that American market is facing problems as its Federal Bank has said that it will reduce its balance sheet by pulling $50 billion/month from the market while RBI has decided to put extra Rs50,000 crore/month in the market. Therefore, we are in a strong position and reduction of interest rate would trigger the market. Q: Name some sector or themes whose shares will perform well in 2019? A: Consumer, private financials (like NDFCs and private banks) sectors will perform till elections while industrial, infrastructural and capital goods sector will grow after the election results are announced. Q: Sector/segment where we must not invest? A: PSU banks, the segment pays off the most, and software companies are the segments where one must not invest, at present. Similarly, don’t touch the infra sector before the election results are announced. Q: Any suggestion/advice for our viewers for 2019? A: I will ask them to be in the market without any fear of government change. As the market is a home/office for you and that’s why you must not leave it just because it is not performing as per your expectation. It will pay off to you after you remain invested for 5-10years. Q: Basant Maheshwari’s resolution for the new year? A: Don’t have a resolution but are thinking to shift our base to Mumbai in 2019.